Snow has returned to the mountains and the trails are still rideable. The new ride for slippery trails is a fatbike. 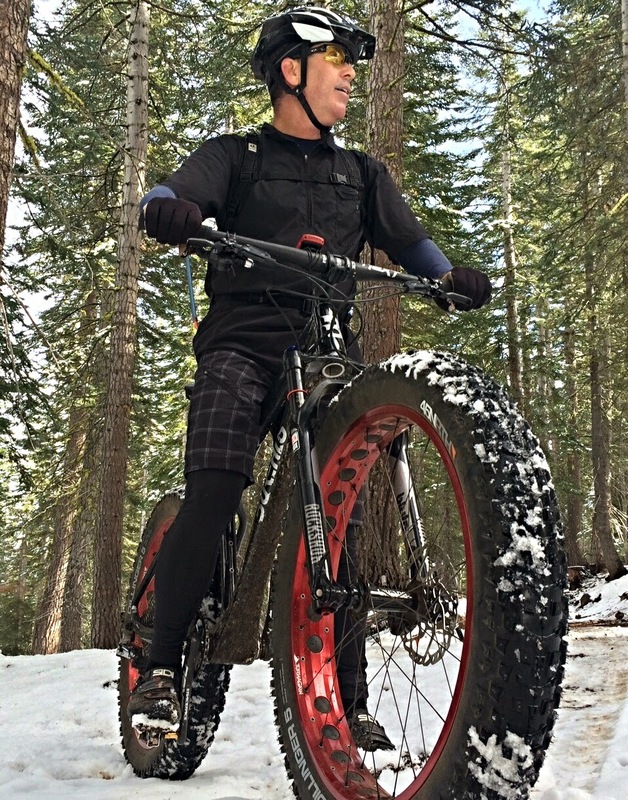 Fatbikes are a relatively new type of mountain bike that sport massive tires that are twice as wide as a conventional mountain bike. The latest generation of fatbikes have the suspension, quality components, and lightweight carbon frames that will make a cross-country racer smile. The minimal rolling resistance penalty of the massive tires on hard surfaces is quickly forgotten as you float across mud and snow that will leave your buddies mired. I rode my friend's Borealis Echo fatbike on a popular Truckee singletrck that was covered in mud in snow. This bike climbs and accelerates surprisingly fast and when the trail gets twisty the handling is spot-on. It doesn't handle like the beast that it appears to be. Riding a fatbike is confidence inspiring when you look down at that big fat front tire. The tire doesn't follow ruts or drainage channels as conventional tires do. The steering feels like its in some way hydraulically damped, yet is quick enough and offers a good feel of the trail on fast descents. Before you throw down money on the latest 29er, downhill bomber, or whatever your style, you should check out a fatbike. 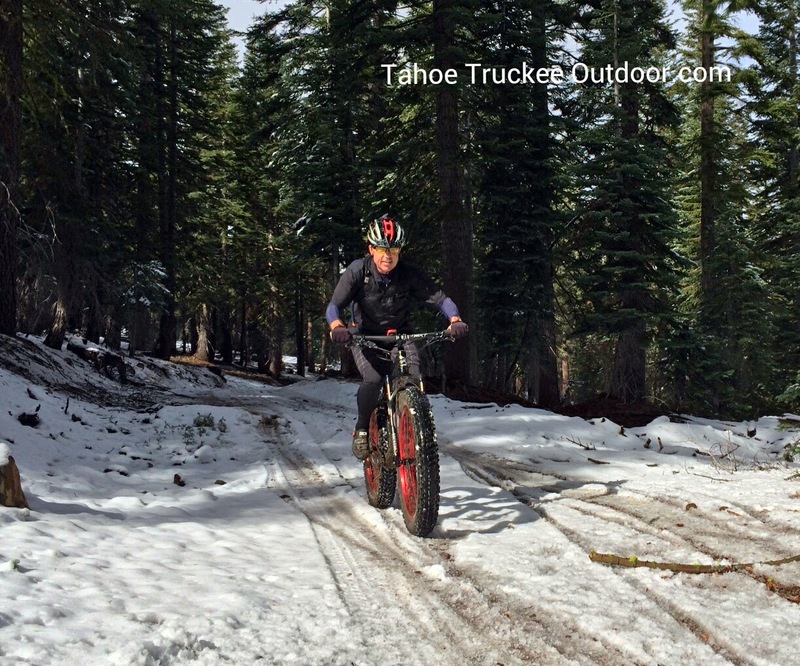 If you want to ride snowy trails, it has to be a fatbike. Michael gets fat in the snow near Truckee.